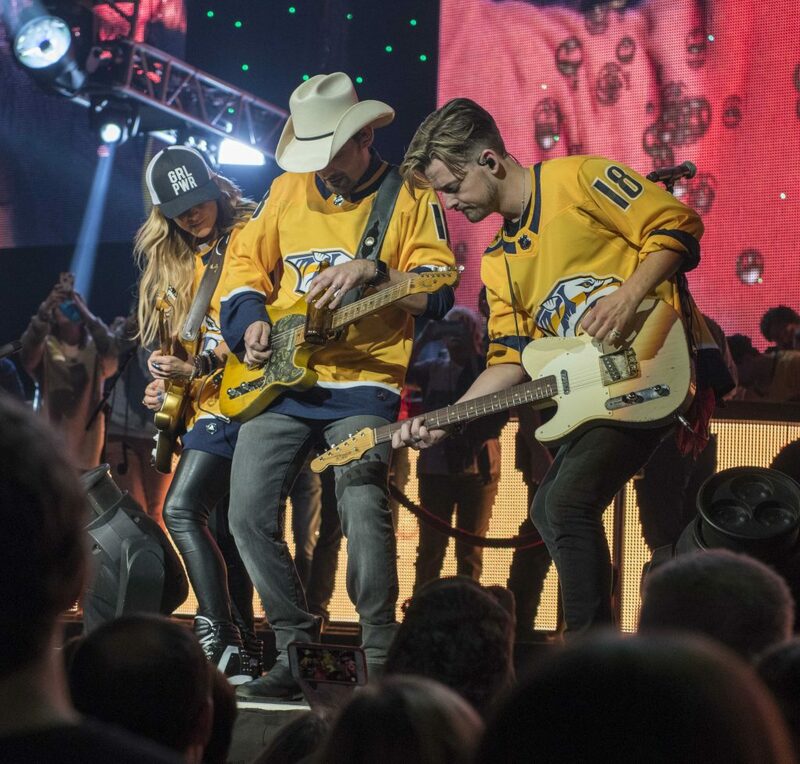 Brad Paisley welcomed fellow guitar slayer Lindsay Ell, along with “Small Town Boy” hitmaker Dustin Lynch and Chase Bryant for his hometown show in Nashville on Friday (April 6) at Bridgestone Arena, as part of Paisley’s Weekend Warrior World Tour. 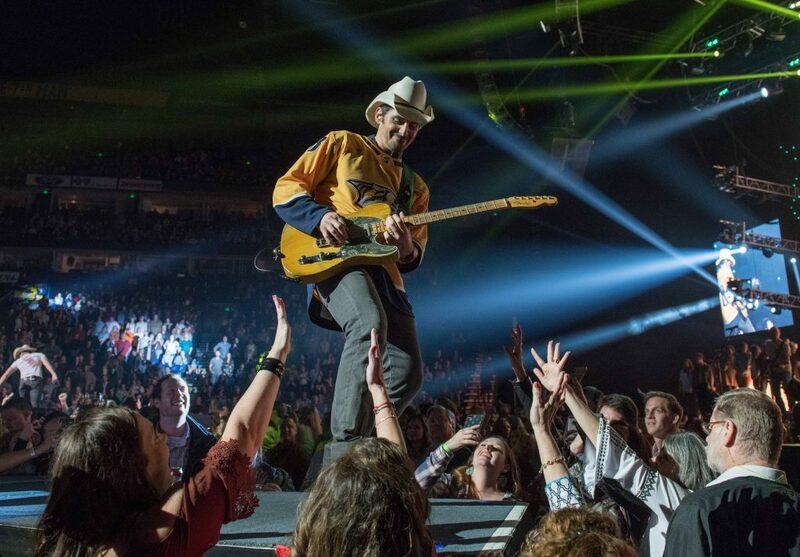 Among the show’s highlights were Paisley, Byrant and Ell collaborating on the show’s encore of “Alcohol,” and Lynch honoring Paisley as one of the “Greatest Of All Time (G.O.A.T. 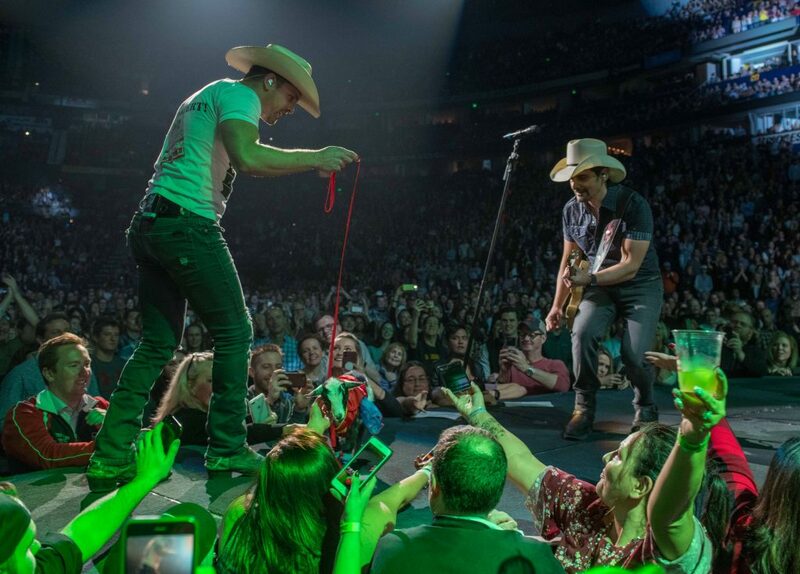 ),” by gifting Paisley with a baby goat onstage. 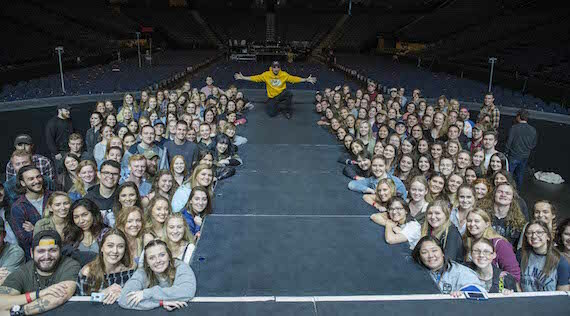 Earlier in the day Paisley hosted approximately 200 Music Business students from his alma mater Belmont University at his pre-show sound check. He gave them some honest advice with humor, ran through a few songs for sound check and then took questions for a few minutes. The students also attended the show.